Hervé Demers returns to Short of the Week with his latest short - an intimate portrait of identity & immigration. A seemingly simple story about a boy suspended from school for a violent act, Hervé Demers’ 17-minute short takes a surprisingly touching and intimate turn as a father spends some unexpected time with his son. Demers’ fourth short film (and the second we’ve featured on Short of the Week), Le nom que tu portes (The Name You Carry) once again showcases the Montreal-based director’s ability to tackle relatable, universal themes within a very restrained, personal story. 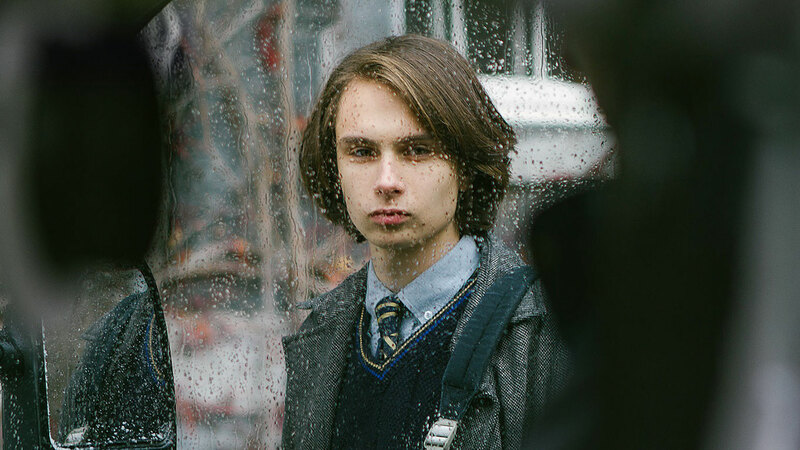 Unusually for a short film, the story behind Le nom que tu portes was actually inspired by the film’s leading actors, Sasha Samar, a Montreal actor of Ukrainian origin and his son Vlace, who was born in Canada. “The idea was to explore the notion of cultural heritage within the context of immigration”, Demers explains, “with the real story of Sasha and Vlace as a starting point, we created a fictional story that would help us investigate that theme”. Though the narrative is centred around migrants (an increasingly popular topic in short film at the moment), that’s not to say this is the sole focus of the film. In fact what Demers and writer Jean-Philippe Boudreau have created with their latest short is a complex, multi-layered film that an audience can relate to for different reasons. Whether you’re a parent concerned with how your decisions influence your children, someone interested in how a multicultural society effects heritage or just have a surname that inspired childish wordplay at school (something I can definitely relate to), there should be something here that resonates. Though Le nom que tu portes is arguably a film better suited to the festival environment, Demers’ previous film Les adieux de la Grise (A Shade of Grey) proved (with its 145k views on Vimeo) that an internet audience does have the patience for this slower paced storytelling. And with that in mind, I implore you once again to give Hervé’s short the patience it deserves, it’ll be such a rewarding experience if you.